Daniel Negreanu, a poker legend famed for his ability to make insane reads, is appearing in an upcoming television series titled “Four Kings.” In a recent interview, Negreanu described the show as being about four friends (three professional poker players and one bookie) living out of a Las Vegas penthouse as they seek the thrills, fame, and fortune of high-stakes poker. 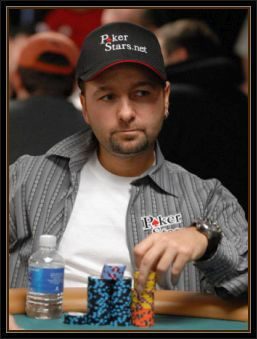 Negreanu did not specify the extent of his role, but he did indicate that he was playing himself in the show. This likely means that other major figures from the poker world will also make appearances. While the names of case members have been released, their roles haven’t been specified. Members of the cast, according to early information, include actor / poker player Kevin Pollak and actor Robert Iler (of Soprano’s fame). “Four Kings” is planned as a 30-minute scripted drama. The show, according to current descriptions, won’t be about in-fighting or group bickering. Rather, it will be about a group of loyal friends who remain loyal to one another as they pursue the dream of becoming world poker champions. Sadly, there’s little more information on where or where you’ll be able to catch “Four Kings”: It hasn’t yet been picked up by any network, although Negreanu indicated that the show has already received substantial interest from several networks. The 2015 Poker World Series began on 21st June with great fanfare at Rio All-Suite Hotel and Casino, Las Vegas with $50,000 Poker Players’ Championship as the main event. With this year’s event the championship will complete 10 years of existence. Poker Championship $50,000 is an eagerly awaited annual event that sees high stakes poker players from across the world meet at Vegas. Last year, there were around 7977 entries at the inaugural event which displays its popularity among professional poker players. The total event has around $53.76 million in prize money that is spread across various events. The biggest prize money of $2.3 million was won by Freddy Deeb in 2007. Two new games have been added to the event this year and some changes have been made to the tournament format. When the tournament first started in 2006, it started as $50,000 H.O.R.S.E comprising of five events which continued till 2010. Changes were made in 2010 when it became an eight event tournament with the addition of “No-Limit Hold’Em”, “Pot-Limit-Omaha” and also “2-7 Triple Draw”. This year new games “No-Limit 2-7 Single Draw” and “Badugi” will be added taking the total number of games to more than 10. Till 2015 it was only an eight game event, but has now become a 10 game event with addition of limit Texas Hold’em, and Limit 2-7 Triple draw lowball to appeal to television viewers. Since 2008, a revolving trophy has been introduced in memory of the first WSOP winner Chip Reese in 2006 that is referred to as the “David ‘Chip’ Reese Memorial Trophy”. This trophy changes hands every year and is given to the winner of the main event. Poker enthusiasts that want to keep in touch with daily events can download MyStack App on their smartphones which will connect them to the tournament events. The lovers of Open-face Chinese have all the reason to be excited as a there is a new game for them to try out now. TonyBet Poker is known as the biggest website for ‘Open Face Chinese Poker’. It has now introduced another OFC variant. This is a Pineapple OFC variation, which is a very famous variant on the website. Players will have to play the game mid hands following the lowball style (Kansas City). It is different from the other OFC poker games in the sense that players need to put the lowest hand right in the centre for a win. According to a TonyBet Poker representative, this is actually quite exciting as this game is interesting, thrilling and very unpredictable. Players will find it to be quite different as compared to the typical Pineapple. When playing the game, one needs to be fully aware and quick to adapt to a unique game mode. Jennifer Shahade, who won the Tonybet OFC Poker World Championship High Roller affair, said that new variant of OFC games are required so as to keep the popularity of the game going. She plays OFC poker regularly which is now gaining momentum owing to the poker community. 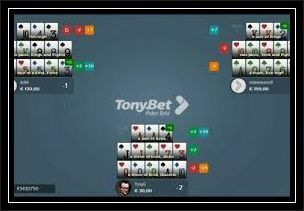 The later part of the year will see even more variants being launched by TonyBet Poker. The representatives of the website revealed that their ‘Deuce to Seven’ OFC poker game is simply a preview of the several more surprises that are there in the pipeline. He further added that the game offered by the site is different as compared to all other games because the players have the option to invent new variations and add new features. So it is more like a customised gaming experience. It makes the game come alive turning into something which is absolutely fresh and more thrilling! 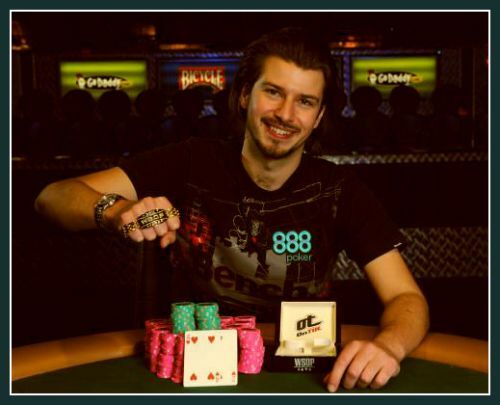 Many poker players are engaged in the sport for the pure love of the game. However, there are just as many poker players who hone their skills primarily to get their hands on the cash prizes at stake. With the huge sums of money that came up for grabs last year in high-stakes poker, the drive to emerge on top of the huge hands that were in play last year comes as no surprise. While most of the largest sums of money are exchanged at live tournaments where players come face to face, considerable sums of money change hands during online poker matches as well. Below, you will find some of the most substantial winnings to occur last year in the digital world of high-stakes poker. The largest sum of money riding on a single hand occurred during a No Limit, Hold’em match that took place between WCG Rider and Denoking on Full-Tilt Poker. At the “Sele” table, both players were all in while simultaneously holding cards of considerable value given the flop. Rider came out on top with a pair of aces that took the pot away from Denoking’s two kings. In all, the hand was worth a stunning $382,827. This hand took place only a mere hour after the players had engaged in a match that was worth $338,760. 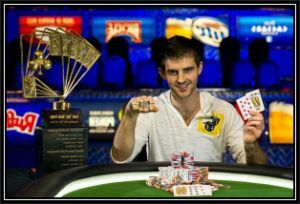 Gus Hansen made the list for top online winnings at the same online poker site playing on the “Coventry” table. The action on the flop was considerable during this online, Hold’em hand. In the end, Gus Hansen had the only flush draw on the board, allowing him to win a stunning $355,144. Viktor Blom took home a considerable amount of money from Full-Tilt Poker in a showdown that included himself, Dan Cates, and Gus Hansen. Ultimately, Cates folded his hand while Blom raised his remaining stack with a straight in his possession. Once all the cards were on the table, Blom walked away with a cool $372,260. 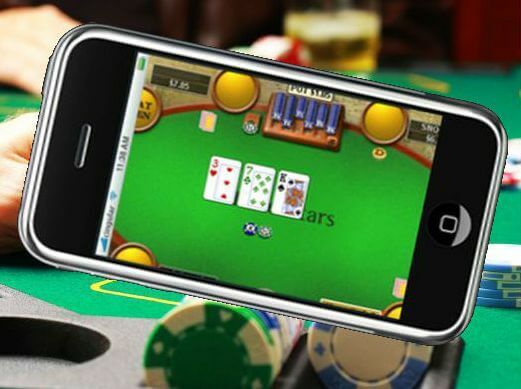 Given the increasing popularity of online casino games, a lot of online gambling sites are going mobile. 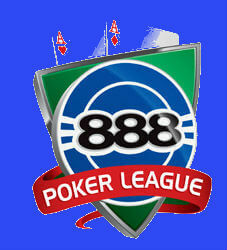 One such site to recently launch its own mobile app was 888 Poker. The app has made it easy for online poker lovers to play their favourite games on the go. The ease of use and large variety of games on offer only add to the convenience of playing through an app. What more does it have to offer? Let’s find out. The first factor to make it a hit is its compatibility with smartphones as well as tablets. The app runs smoothly on both iOS and Android, making it a hit among both the customer bases. So playing poker does not need them to stay glued to their PCs or laptops any more, they can do it just with a swipe of their finger. The app is also loaded with features. 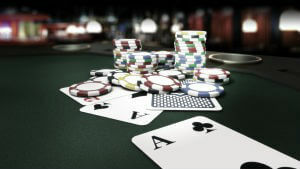 It offers a variety of Texas Hold ‘em games, where you get the opportunity to win some cash! You also get to participate in a number of Sit and Go tournaments by turning in the app. You can list out your favourite mobile poker games in the app lobby, making it much faster to reach your desired game. The lobby too can be accessed with a single touch. What’s more, you get to choose an interesting poker personality for yourself. The most attractive feature of the app is probably that it is free! A quick sign up at the website before downloading the game will in fact, make you eligible for plenty of bonus offers. You surely wouldn’t want to miss them! Anyone can learn Poker in a matter of hours, especially with the help of online games and hundreds of strategy books. It’s mastering the game that takes time. To play at a completive level it will definitely take some extra time and dedication to become a pro. This is not true. Bluffing is a good and helpful technique in any game of Poker, but it should be used only now and again to be fully effective. Good players don’t necessarily bluff all the time, they simply use good strategies and get the best out of the hands they’re dealt. Online casino games are generated with random coding and like in a real life casino, it simply comes down to the luck of the draw. Good poker players make the best of their hands and do not blame the dealers (online or otherwise) for their bad cards. Any form of gambling does have an element of luck to it, some more than others. That’s why it’s called gambling. Poker, however, is a great game of skill, strategy and technique. Luck is only a part of it. Good Poker players have trained and practiced and studied many strategies so that they can play many successful rounds of Poker. 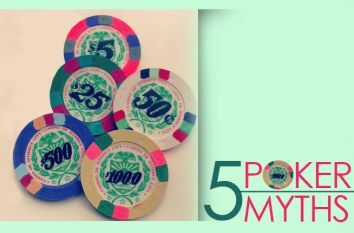 This is a myth and it is actually the game Pot Limit Hold’Em that requires much more skill than in any other Poker game. This is mostly because the game gives the more skilled players a bigger advantage and takes away any beginner advantage. Most would wonder why a world class poker champion like Darren Woods who has made nearly $213,000 in Las Vegas poker games in 2011 would indulge in fraud at online poker. He has been accused of using false identification to play poker at various online sites and earning commissions which would not have been possible if he had played as one person. His father Morteza Gharoon has also been made co-accused in this online fraud and money laundering exercise as he stays at the same address as Darren Woods which was the location of 13 frauds carried between Jan 2007 to 2012. According to prosecuting Officer Alasdair Campbell, Woods had created accounts at online poker sites under false identities and was able to thwart sophisticated techniques used by them. He colluded with his father, to use identities of real people to open accounts with online poker gaming companies. The money Darren collected as commissions would not have been possible if he would have played as a single player at poker. The series of fraud began after he was declared bankrupt in 2007. He has been accused of earning £ 147,266 in commissions from 2010 to 2011 using false names and identities. As a successful property investor with several properties in the expensive Grimsby area and an Iranian national, Morteza Gharoon had personal details of his clients like address, occupation, date of birth etc., which were used by his son to create false identities. He has stated that the allegations and false and his son was handling his online poker account since he was unfamiliar with technology. He has also been charged with money laundering through credit card bills for his son. Darren Woods used false names to purchase private networks and computers to confuse gaming companies and provide them necessary details. Woods made his commissions by opening accounts under false names with online poker company and playing at one table using all these identities at the same time. This gave him a dishonest advantage over other unassuming players as he knew the cards of his false identities. Besides using his dad’s identity to play online poker, Darren also used the identity details of his mother Jacqueline Gharoon and of his friend Lloyd Stockely-Bond. With so many people using their mobile devices to keep in touch with friends, family, work and random emails, it’s no wonder that so many individuals are also using their mobile phones and tablets to download and play games. While there are literally thousands upon thousands of games for you to choose from, mobile poker is definitely one of the more popular choices. Mobile poker is literally taking the world by storm, and a lot of people are choosing to either play it for free to have fun and get used to the game, or they are putting real money down on the table to see if they’re able to make more in return. Why is Mobile Poker So Popular? You might be wondering why mobile poker is becoming an incredibly popular choice when compared to actually going to a local casino to play the game. First and foremost, mobile poker can be played no matter where you happen to be. A lot of people are able to play on their mobile devices all throughout the day, so it’s easy to access your poker account even if you’re out for the day, at work or just taking a ride on the bus. Mobile poker is also an easier way to play poker, even if you’re just a beginner and don’t know much about the game. Before you can truly begin playing the game, you’re going to need to download a good quality poker app that is readily available for the specific mobile device that you’re using. Certain apps are available more for android devices and others for smartphone or iPhone devices. From there, you can download the app and begin setting it up to begin playing poker. Certain apps will allow you to play for free, and others may require you to play for real cash. It is up to you what type of mobile poker app you decide to play on your device.